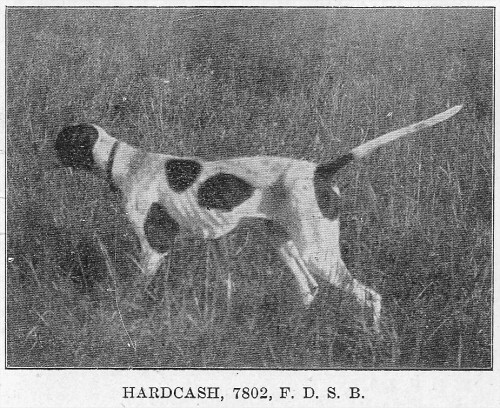 -- Image scanned from Field Dog Stud Book, Vol.V, 1905. 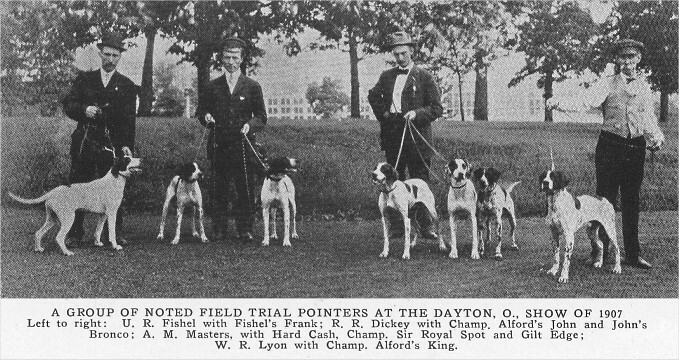 "1907, Dayton, Ohio -- Fishel's Frank, Ch. 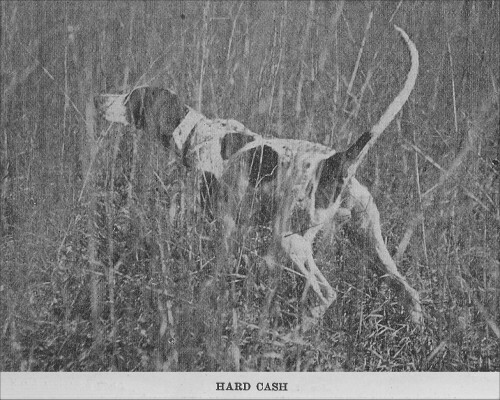 Alford's John, John's Bronco, Hard Cash, Ch. Sir Royal Spot, Gilt Edge, and Ch. Alford's King"
-- Scanned from The Modern Pointer by A.F. Hochwalt, 1923. Nat.F.Ch. Doughboy -- 1924 Nat.F.Ch.